In recognition of the day, I thought I'd give you my thoughts on what a REALLY scary Halloween character looks like. Since his arrival in town six years ago he has become the personification of the word "SCARY". He's dragged with him his coven of lock-step lemming zombies to do his bidding and is just about to take over our city if his charter scheme passes next week. If Measure V passes he'll be able to make the rules instead of being forced to follow those already in place to protect us from corruption and abuse. He'll stop at nothing to complete his takeover of our city. No fabrication of facts is too extreme for him and his sycophants. They've developed falsehoods to an art form and just keep on firing them at the voters, hoping nobody will catch on. Be afraid - VERY afraid! So, folks, while you're out with your kiddies, knocking on doors looking for candy, keep your eyes open for the Scariest Person In Costa Mesa. But let's not forget about all of his flying monkeys!!! They come in a close second!! Too bad a little water won't melt down this problem!! No to the (b)ms, NO to this one man's "charter"!!! YES, YES, YES to Stephens, Genis, and Weitzberg!!! They will bring about pension reforms, any outsourcing, a charter (if the citizens want it) the RIGHT way, the CORRECT way!!! They - and Wendy Leece - are for We, the People of Costa Mesa and OUR city. They have morals, ethics, scruples, and backbone! They are not in this for their own personal or political gain, nor for the gains of their out of town special interest buddies and pals. Just take for instance how much in campaign donations to his "charter" and Mensinger, not to mention the rest of the flying monkeys, have come from the ABC and their out of town developer/contractor buddies and pals, not to mention from the ocgop and its shill groups, in a nonpartisan race? (and yet they point fingers, scream, rant and rave about campaign donations from outside sources to their opposition) Are these donations pay back for favors already rendered - think Starbucks on 17th, and other Burnham Ward CM developments (with more to come), Banning Ranch traffic mitigation agreement Draft acceptance, Harper park generator/temp lights (the AYSO guy asking for this is also a member of the ABC)... and all of these granted to their pals despite huge CM citizens' opposition. Or is it that they are expecting something in the future from their donations? Maybe getting no bid contracts, outsourcing contracts, non-prevailing wage contracts, granting of more unneeded, poorly planned and thought out development despite opposition from CM citizens??? NO to the (b)ms, NO to this one man's "charter"!! YES, YES, YES to Stephens, Genis, Weitzberg. Otherwise, we can kiss OUR city goodbye!!! Careful, D.R. Someone will now follow shortly complaining about all the 'union' money Weitzberg/Genis/Stephens are taking, which isn't true. They can't control who supports them, but they haven't taken a penny from them. They talk and talk about the use of fear and 'bogeyman,' and in the next sentence ... they use fear and bogeymen. Classic! I guess the question is, who scares you more; A council majority bought and paid for by unions, not just Costa Mesa employee unions, but unions that have no business in Costa Mesa yet are spending more than half a million dollars to keep the Righeimer anti-union majority from progressing or Righeimer? The way I see it, once the unions have control of the council, we will never get them to leave. This is a skirmish that is really winner-takes-all and I for one don't want the unions running my city the way they run Sacramento. Righeimers come and go, but once the unions plant their flag, we are never getting rid of them. I know the prevailing mantra here is "Righeimer bad", but you haven't seen bad yet. If the unions win, you will really know what bad is. Oh, and D-R, you haven't taken the time to read the latest campaign reports apparently. The unions have dumped half a million dollars into defeating Measure V. Compare that to the less than 60k the pro side has collected from their "evil supporters." No one needs to point fingers to see that the unions are quite literally trying to buy this election. Neanderthal Marty, aka the Grant Avenue Ghoul, and author of that race-obsessed other blog, might be scarier than Riggy. At least Napoleon Righeimer washes and replaces his clothes. The first time I saw Marty at council I thought he was a local actor, coming straight from a rehearsal for Les Miserables..
Why just last night I looked under the bed and there was a UNION there hiding behind a frame wheel! BOOOO!! And that there UNION looked just like Jimmy Hoffa! Yesiree, he's probably been down there all these years. Good thing we have genius Krochman to help us defeat the bad UNION. Good thing there are big government contracts to fund such a sage. Mensy will save us! He'll flash his phony badge, chest-bump another teacher, harass another baggage clerk at JWA, be a defendant in another employee harassment case, and with Krochman's continued support and endorsements he will deliver us from Evil! At least we see the "union" money.And NONE has come into the coffers of CM4RG, or the endorsed candidates. Now about the YES on V. It's hundreds of thousands from outside developer lobbyists, and political groups. All filing late or not filing at all. The OC GOP has not filed with the city but has dumped over $40 K, the Lincoln club , at least that. Then you have the Building lobbyists dumping in $10 of thousands and McCarthy using some outfit called the OC Jobs Coalition which is just a political print house showing no contributors, but still has printed almost $20K. So Bruce, don't be playing all high and mighty about outside money coming into Costa Mesa. The ONLY ones not taking it are the CM4RG group. So by that metric, Vote NO on V , and The TOP THREE, Stephens , Weitzberg, and Genis. I am a non-union citizen of Costa Mesa, and I am against this charter. I will vote No on measure V.
Mike - You were right!! BK- are you serious?!? $60,000.00! Another BIG lie!!! And FYI.... It is the Costa Mesa residents who are against this one man's "charter". We don't need anyone to influence our vote. We already know this thing is wrong in so many ways and on so many levels. And you all know this, yet you keep on with the broken record lie that it's the unions who are trying to defeat the charter. No, BK, it is the citizens of Costa Mesa who WILL defeat it Nov. 6. 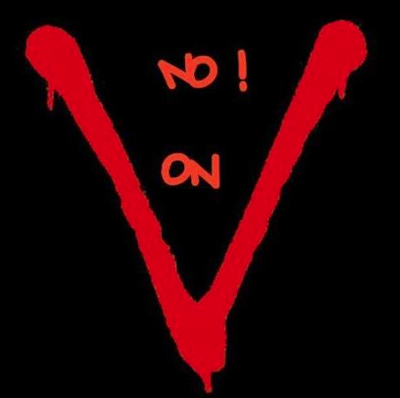 NO on V - this one man's "charter"!!! NO to the (b)ms!! YES, YES, YES to Stephens, Genis, and Weitzberg!!! "This Sandy thing is no big deal. Storms come and go." Bruce Krotchity you show your dishonesty well. Both intellectually and purposely. Please back-up your implying Stephens, Weitzberg and Genis are bought by the unions. You are basically just making up lies. Yes you didn't come right out and say it but it's there in the way you posed your FAKE dilemna. Have you no shame at all? You owe Stephens, Weitzberg and Genis a huge aplology for implying what you did. Especially since they have all said we need reforms of public employee pensions and they were not taking Union money. Just curious do you enjoy lying to people and making false implications about others? But I wont hold my breath from someone who is so willing to make that FASLE type of comment and exepct them to aplologize. Maybe more lies is what I shouild expect from you. You disgust me the levels you stoop! But on the other hand look at the Campaign Contributions of Mensinger. His actual contributions and not made up BS like you implied. $10,000 dollars from a Newport Beach Construction or Builder. That's just one there are many others. SO with those FACTS maybe we should actually fear with the charter allowing these guys to raise the minimum for bid contracts that Developers and Construction companies might be a bigger fear of buying and controlling the M's if they get in because there is money already being pumped into their campaigns from builders and developers. Maybe that was Bruce's goal to distract from the real fear the developers buying the M's with actual campaign contributions. What a weak transparent play Bruce. I agree you owe Weitzberg, Genis and Stephens an apology disparaging them with basically your very very false premise. One has to wonder how will the M's if they get in repay all these Kent Mora's, Cassity, Krotchity, Taylor, Hull etc. Does anyone think there will be many new titles at city hall to fill? Let's make Bruce Director of Fables, Mora Director of SS, Taylor Director to oversee the dissolution of the Employees Assoc., Hull Director of Laundering. Too bad 2 @ 60 has already been put in place by the city employees association. Oh well they can make up for it by having all the new directors make over 200k per year. Ah, the well-constructed and insightful attacks on me from people too timid to disclose their identity. Seriously, you think you are more creative than my classmates in middle school? No, you are simply following Millard’s sorry attempts to diminish the sting of a contrarian view by belittling your opposition. Entertaining, but ineffectual in the end. As much as it hurts you, the answer is still the same. The unions want Genis, Stephens and Weitzberg for a reason. Bought and sold; as simple as that. Don't lose sight of 2014 either. Foley is in play for Leece's seat and Righeimer is up for re-election. That ought to bring out another half mil if not more from the unions, don't you think? Wake up people... you have been sold a bill of goods by the unions. Sure, I don’t expect you to see it now, but should they prevail, you will most certainly feel it in your pocketbooks down the road. the CMTAX minions comparing Sandy Genis to a storm with the same name is deplorable. The storm killed people and devastated millions. Have they no shame? The OCGOP has dumped tons of money into this NON-PARTISAN election. Scott Baugh is a dirty politician as was proven some time ago. How much if any has Howard Ahmanson donated? It would appear the 3m team is now fully banking on their ability to run a campaign focused around things that are simply not true. 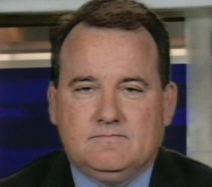 Krochman misses a huge point, that there are in fact three sides in the Costa Mesa election. On one side are Jim Righeimer and his sidekicks. Righeimer has been at war with the unions since at least 1998, and he brought his vendetta when he moved to Costa Mesa. Then there is a third side, the CM4RG folk, who just don't want to live at Ground Zero in a War Zone. Let some other city be the petri dish for experimentation, the bloody tip of the spear in a war. We are damn lucky that we have Genis, Weitzman, and Stephens running to represent the third side. is there a way to deny access to this site to children such as disgusted republican and his costant "bm" references? and to Riggy's children so they can't see the job you did on their father? Krochman's just another irrelevant distraction. His pseudo-intellectualism aside, his endorsement of Mensinger is an endorsement of Mensinger's methods: Physical and verbal harassment. Developers pouring money into Costa Mesa: Good people. Someone to endorse and give money to. So Bruce, If unions control the current City Council, how do you explain Righeimer, Mensinger, Monahan and Bever? Since Monahan Bever and even Mansoor were on previous councils, they must of been controlled by unions by your analysis. If that is the case, why are you supporting them? See, this is what is wrong with today's GOP, all they do is lie and lie. I used to think Bruce was an ok guy, I guess once he drank from Righeimer;s koolaid jug, all that changed. Bruce Krochman, could the unions want certain candidates simply because they will talk with them and be reasonable? Not "bought" just reasonable? It's good business for the city and the associations to negotiate. There has already been movement and your boys accepted a deal with the fire department. Is that association good now and the others bad? The employees association came to the table with cuts. Good or bad? The police made an offer, but they have been shut out. Is the only answer annihilation? I said this in the DP the other day and will reiterate it here. A great business tactic is to negotiate with people who have a vested interest in the outcome. All of our associations and their CM members have that. They chose to work here and they want to keep working. This is not a monolithic, "Borg" brain. These intelligent individuals are aware that times and economics have changed and they have all shown their willingness to change, too. But change is impossible when the other side of the negotiation table is absent or unmoveable. But, they will work with us. Outsourced contractors have no skin in the game. I speak with a lot of authority here - I am an outsource consultant. Yes, we all need business and we work hard for it, but we also have a BS threshold wherein we can more easily walk away from this negotiation when the margins are ground too thin, because, (if we are any good in business) we have a full pipeline of leads and know that the there is another "client" who will pay us what we need to make. The contractors who stay and get ground too thin are 1) desperate for the work (and you have to wonder why) and 2) more than likely unable to perform to spec with the margins cut so close. One hiccup and they're dead. So, I would advise my clients to first work with what they have. Know their financial targets (high and low) and negotiate hard. If and when they cannot reach a deal - look elsewhere. The unions are not the scary monsters, it's the inept negotiators who are. In this case: the Council majority and the city's CEO. If they had any talent, this would be over, the associations would have made good concessions and we could all sit in the same room and have a friendly drink. Your guys drink alone. And plot. This Bruce Krochman (sounds made up)fella brings up an interesting point--2014 and Riggy being up for election. I don't really think he'll stick around much longer when he's on the minority side of this Council and the votes start going 4-1 or 3-2. How great will it be to see his sad little lower baby lip sticking out throwing a little tantrum. robutto...After Righeimer dragged one of his daughters up to the moderators to chastise them for his perception of their performance, why should anyone else worry about his daughters when he seems not to? Mary Ann - they don't drink alone, they just don't let anyone in their club that doesn't drink the same Kool Aid. Birds of a feather stick together. Bruce it's not the contrarian views at issue, it's your outright lie Weitzberg, Stephens and Genis bought and paid for by unions. Your attempt to back track a little doesn't work either claiming now the unions want them for a reason. Therefor bought and paid for. You really are ridiculous and that is not because we disagree on who is better for Costa Mesa but because you simply post a lie and now a False basis for that lie. While the facts are the Top 3 have all stated they know pension reforms are needed. Your statement is totally dishonest and you know that. Hate the unions all you want Bruce but stop lying about the top 3 candidates. Civil Thinking and then lying about the Top 3 being bought and paid for by the umions when they have pledged not to take campaign donations from the unions. It's simply a lie and Fear tactic Geoff. It's funny becaus that's what you gear from Riggy and his boys is the other side is bad using Fear tactics. I agree we can disagree but let's have an honest debate and not full of Krocthcman type lies. Is Krochman the senior citizen Fitzy? Is anyone wondering why Banning Ranch is on hold or been voided. Could the charter fate have anything to do with it? Are any of the developers, construction companies etc. donating to Mensinger's campaign. Have any promises been made if the charter passes? Could the bridge come back into play? Wll we get a new parking lot paving over half of Fairview Park? Do you think riggy let's his daughter read Millard's blog? Probably, huh? Considering how flattering that pile of garbage is to her dad, Riggy probably has it saved as a "favorite". That way she can read his daily praise of her lying deceitful father, AND get her dose of anti-semetic, racist, trash. Who's Being Bought - The bridge IS back in play on Monday night and residents need to show up. OCTA is meeting regarding removing the bridge from MPAH. As my friend Eleanor Egan pointed out, " It is important that removal not be conditioned on (1) connecting Bluff Road to 19th St. OR (2) directing PCH traffic and Banning Ranch development traffic through streets on the West side of Costa Mesa." If you are avaialable - show up and speak. I respect Bruce, I don't understand his current support for the 3ms though. Bruce is smart and cares for Costa Mesa, he is a real good person. Chris, Bruce is writing lies about the top 3 being bought and paid for by the unions against all the facts. Maybe you and Geoff can stay pals with someone who disparages very good people but I have no problem with others calling Bruce for what he is. He should apologize for his lies against Weitzberg, Stephens and Genis. Until then I will continue to be with those who point out he is writing lies as the proof is he is lying about the top 3. Just in case you and others don't know they are not bought and paid for by the unions and they have great integrity.